As with most recent games especially racing games. The Memory/Player's Card is a vital component to keep players coming back for more. 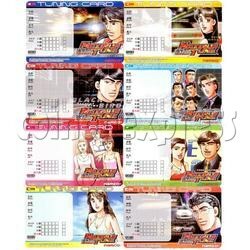 These items are blank memory/players cards for the game Wangan Midnight Maximum Tune 2. It stores all the player's vital information, scores, prefences and most importantly Car and Upgrades.